No prizes for guessing which city I have to be in, and which city I want to be in! A special mention to Montreal for (just) taking me outside of UK & US! My 2017 flights, slightly transparent pen so that repeated routes stand out. 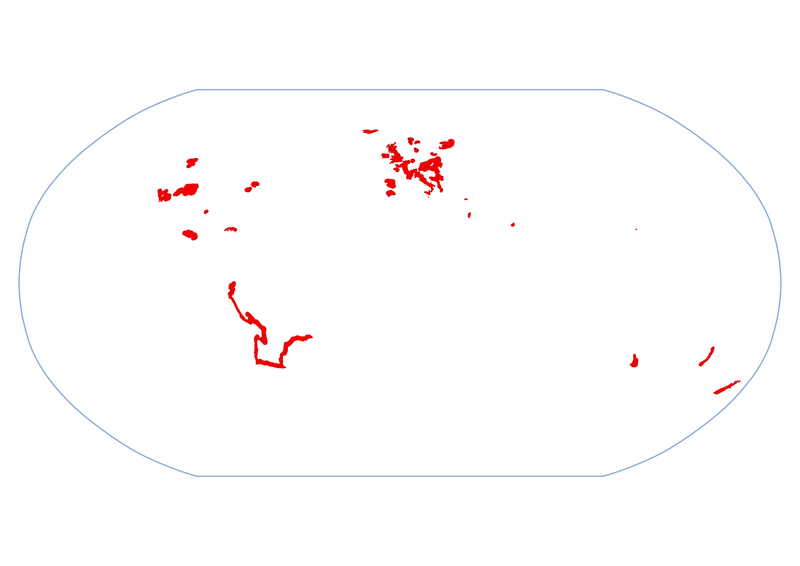 Whilst zooming in to check the data quality on the inputs to my ‘well-travelled’ map I realised that the data made a nice summary of my time in the American West. This made me want to buy a GPS logger for my SLR. Maybe Father Christmas will bring me one next year. My explorations of the American West. 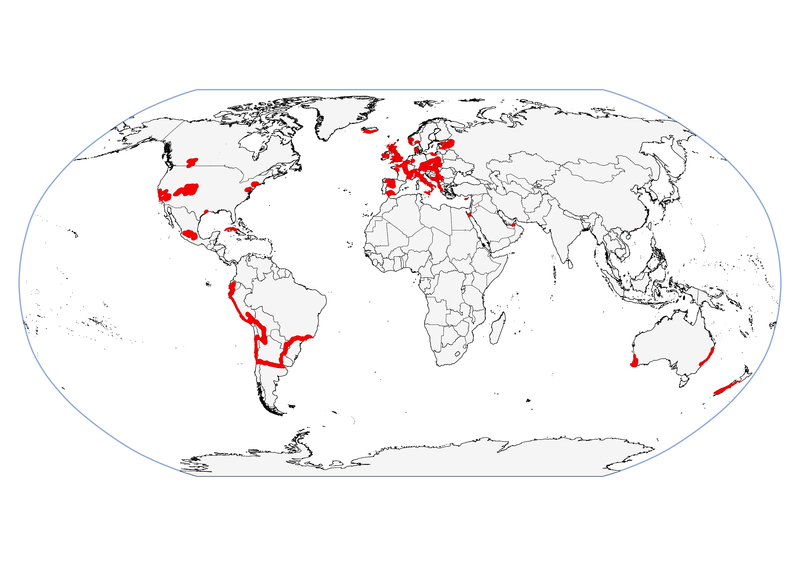 I have finally finished amassing data for my well-travelled map, a map that’s going to illustrate how little of the world I’ve actually seen. The four (so far) input layers are shown below. 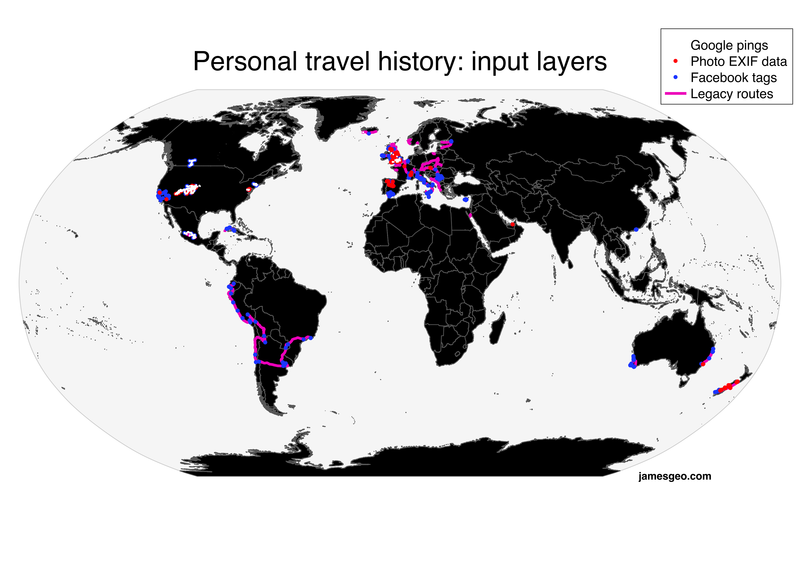 All were automatically produced, apart from the legacy routes. The 20 elements that are used least often as place names (ignoring all those that are never used!). 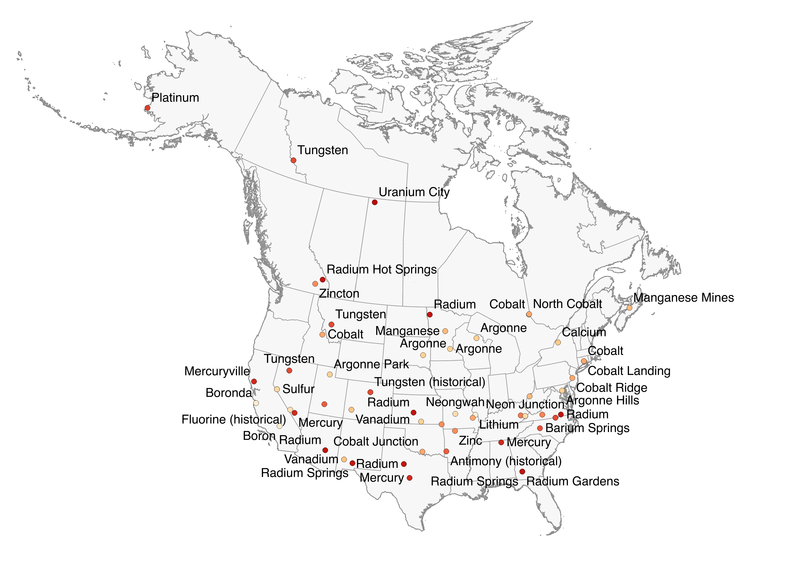 The twenty least popular ‘element towns’ in North America, coloured by atomic number. 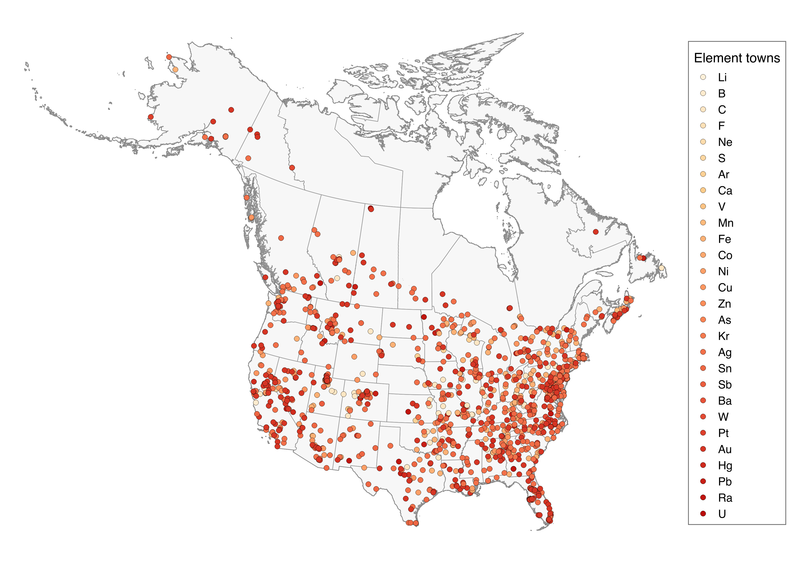 Last post we saw a map of all the towns in North America that are named after periodic elements. This post has some more detail. 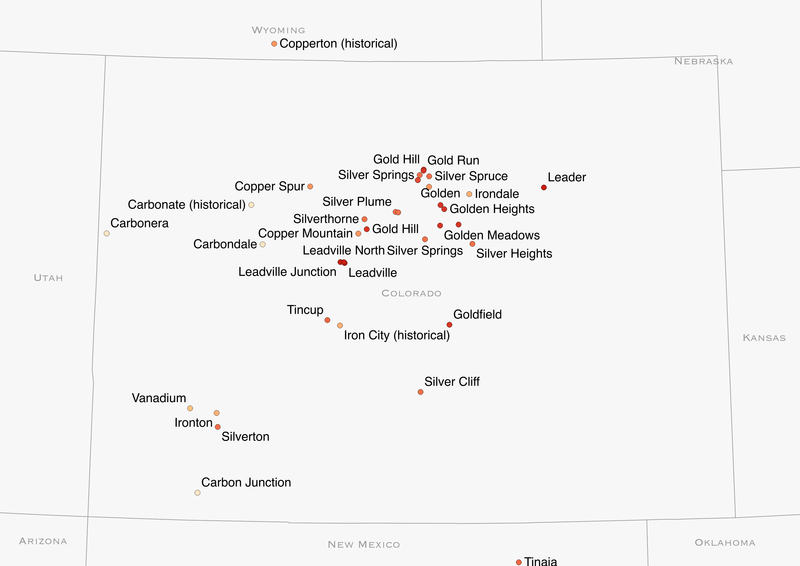 Whilst I’m confident that the sainted Leadville was named after lead (a bi-product of the silver mining industry), I’m less confident about Leader, Carbonera and Tinaia, NM. I’ll ask a linguist. Last post we saw how our benign overlords friends at Google have been tracking my phone. 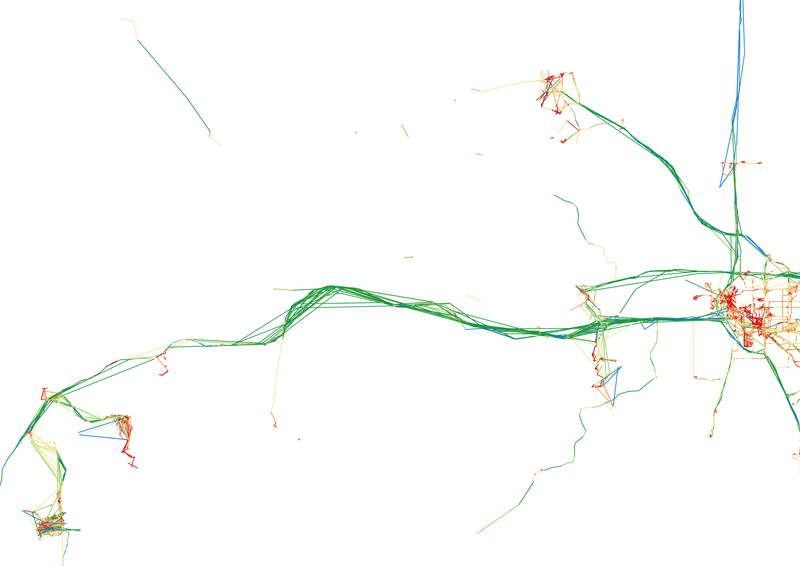 Joining the dots creates tracks showing where I’ve been (shown here with and without a context map). 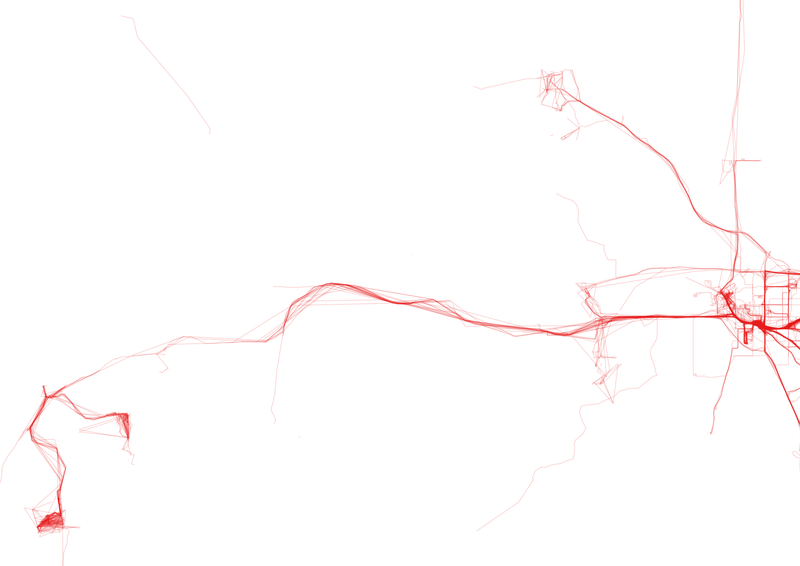 I have only created tracks when points are less than 30 minutes apart, which means that they adhere quite well to the road network. It also explains why some of last week’s black dots have disappeared. 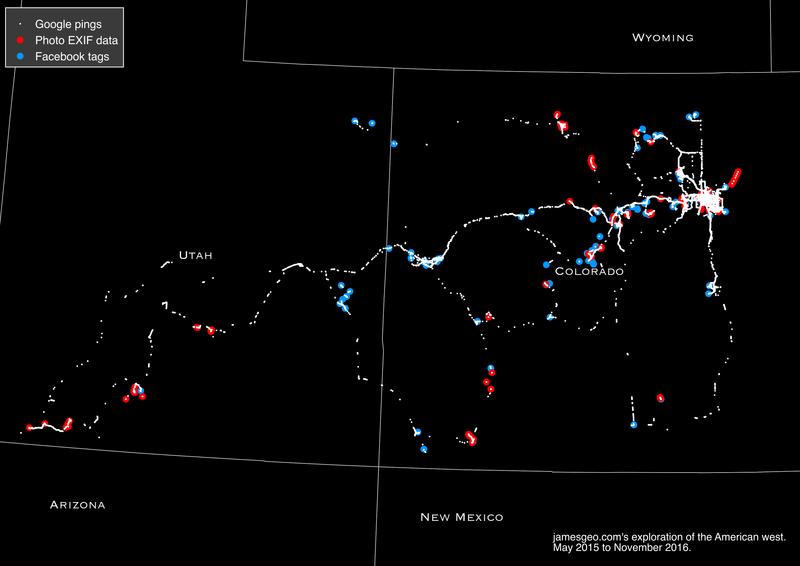 The two cluster in the South-West are Breckenridge and Keystone ski resorts. Denver is the city on the Eastern edge of the map is Denver. The I-70 interstate (motorway) connects Denver to the mountains.